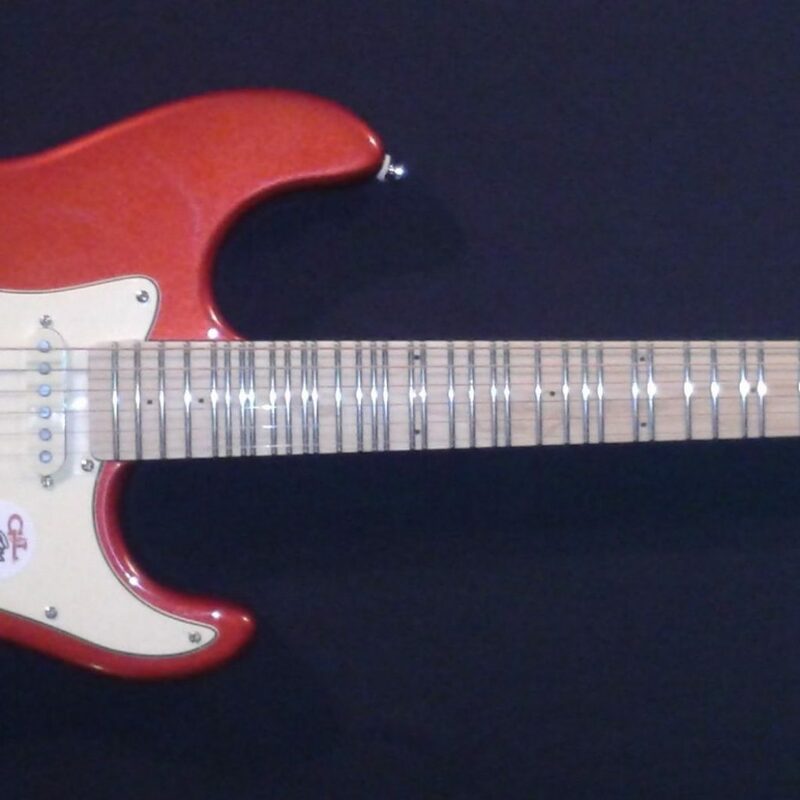 New FreeNote/G&L Legacy 12-Tone Ultra Plus guitar in Candy Apple Red! The Legacy has that classic Strat sound with the reliable and world class G&L build quality. Featuring 3 single coil Alnico V pickups complemented by Leo Fender’s own modern refinements, the classic Candy Apple Red finish is completed here with FreeNote’s original fretting design that keeps the standard 12 frets in place while adding pure Harmonic Series frets in between, on a hand made maple neck. Price: $1099 plus shipping, includes FREE manual!